The final novel of one of America’s most beloved writers - a tale of degeneration, corruption, and spiritual crisis. In awarding John Steinbeck the 1962 Nobel Prize in Literature, the Nobel committee stated that with The Winter of Our Discontent, he had “[R]esumed his position as an independent expounder of the truth, with an unbiased instinct for what is genuinely American”. Ethan Allen Hawley, the protagonist of Steinbeck’s last novel, works as a clerk in a grocery store that his family once owned. With Ethan no longer a member of Long Island’s aristocratic class, his wife is restless, and his teenage children are hungry for the tantalizing material comforts he cannot provide. Then one day, in a moment of moral crisis, Ethan decides to take a holiday from his own scrupulous standards. 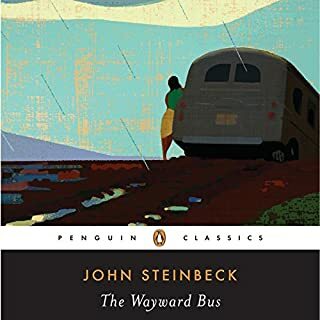 Set in Steinbeck’s contemporary 1960 America, the novel explores the tenuous line between private and public honesty and today ranks alongside his most acclaimed works of penetrating insight into the American condition. John Steinbeck? Are you kidding? I just wish it were twice as long. Which character – as performed by David Aaron Baker – was your favorite? Baker does a great job of bringing each character to life, distinctly voiced and infused with individual emotion. Very easy to listen to. I'm giving this audiobook three stars instead of five because of Audible's sloppy, shoddy editing. Words are clipped off at the end of chapters, and there are jump cuts where the words have been lost. 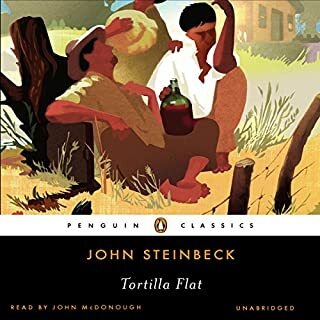 This poor quality work is a gross disservice to a master writer like Steinbeck, and to the paying customer expecting a professional, unabridged product. Get your act together, Audible! Where does The Winter of Our Discontent rank among all the audiobooks you’ve listened to so far? I love the book and really enjoyed listening to this audio versions. It is a classic snapshot of society. Though the story is 50 years old people still value position and money in society in the same manner. He did a great job with the voices. If you could rename The Winter of Our Discontent, what would you call it? Age old question. Can a person have a shifting moral compass and still be a good person? Decent narrator but the production quality was awful. Chapters end abrubtly. Short of reading the book itself, few words can justly capture the masterful command of the English language and narrative of human experience Steinback demonstrates in this book. 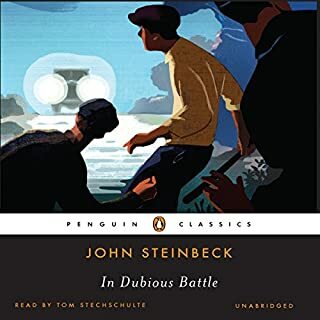 To express the cognitive process and self awareness of a protagonist such that he and the reader become one in a literary world, and yet, stay true to the character's nature is inexplicably difficult, and Steinbeck does so effortlessly. The author has earned his place among literature's greats and even that might be selling him short. 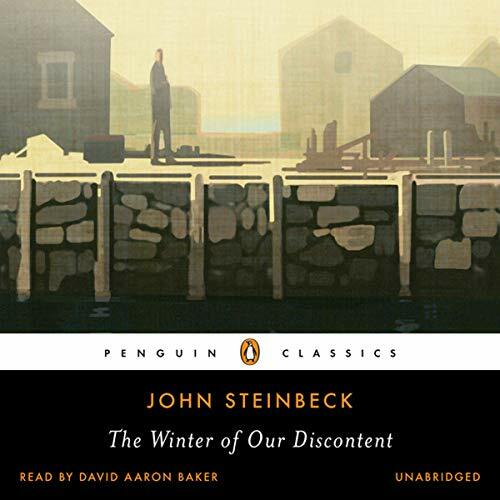 The Winter of Our Discontent, written by: John Steinbeck, and narrated by: David Aaron Baker. In this magnificent work of art, Steinbeck provides us a tableau to consider materialism. He does so by asking (through his characters problems and resolutions); what is right and what is evil, where do I stand in the scheme of things, and how do I make it through life, given the evils that lay in wait of my efforts to do good. If I can prevail? Is there such a concept as prevailing? 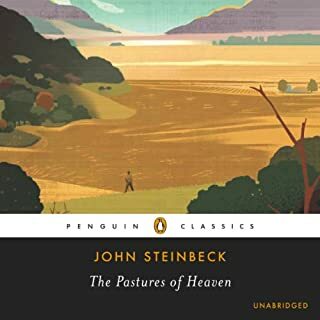 All this wonderful metaphysics arises because Mr. Steinbeck, needed a setting from which to criticize the materialism that pervaded North America in the 1950s and into the early 1960s. Our hero is, Ethan Allen Hawley, a scion, from a New England (actually eastern Long Island), whaling family of renown. He has been unfortunate in that his family wealth was lost by his father and he now suffers the shame of lower middle class. As a grocer in a store he once owned he earns just enough to make it through life but no money for anything else. Opportunity comes to Ethan, if he is willing to forsake his values. Steinbeck though does not lead us directly into a binary choice. Do wrong or do good. Ethan takes off on his own scheme against the good and the bad. How it works out makes for a good story that marvels the metaphysical mind. Does this story involve the reader? Yes. As all Steinbeck’s involve the reader. He is a master and this, his last novel, may be among his better works. Mr. Baker, delivers this difficult experience in perfect tone and cadence. Engaging, entertaining, mysterious. The direction of the story, well told and well read, was unpredictable and layered. Steinbeck was a most excellent writer. 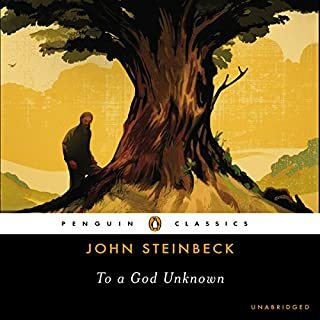 Steinbeck is a reputable author with accolades, his writing is smooth the book is crafted well. 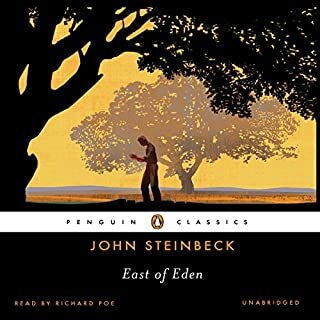 The story itself has a detestable protagonist of whom the reader fails to feel sympathy for and despite good writing nothing can make me like any of the characters in this book, the ending is pathetic and overall, I guess that is what Steinbeck was going for. I don't get it. His thoughts seem schizophrenic. His actions are often not at all what I'd expect, at any given point. Clearly brilliant and cunning, but then also lost, overconfident and hopeless. Frequently surprised, and not in a good way, even to the bitter end. Funny, wise, great piece of literature. This is my favorite of Steinbeck's works. The narrator is great. The production would be perfect if one or two seconds of silence was left at the end of each chapter. Steinbeck's writings are always captivating, profound, and moving. Winter of Discontent does not disappoint. This is absolutely recommended.